Americans have to pay their federal taxes by April 15th every year. The date has come to be known as Tax Day. Have you ever wondered if your ancestors felt the same way about Tax Day as you do? On August 5, 1861, President Abraham Lincoln imposed the first federal income tax. The purpose was to gather money so the government could pursue the Civil War. Congress agreed to impose a 3 percent tax on annual incomes over $800. According to the U.S. Treasury Department, that comparable minimum taxable income in 2003, after adjustments for inflation, would be about $16,000. If your relative was an adult in 1861, and had an annual income of over $800, he would have been required to pay federal income tax. If he made less than that, he was exempt. In 1820, some young women were working in textile mills. It’s possible that some of these women would have had to pay the federal income tax. Married women were exempt from paying the federal income tax because they were not allowed to own property or keep their earnings. Their husband were responsible for paying the income tax. Previous to the Sixteenth Amendment, Congress collected federal income tax based on the population of each state. Highly populated states paid more than states with low population. 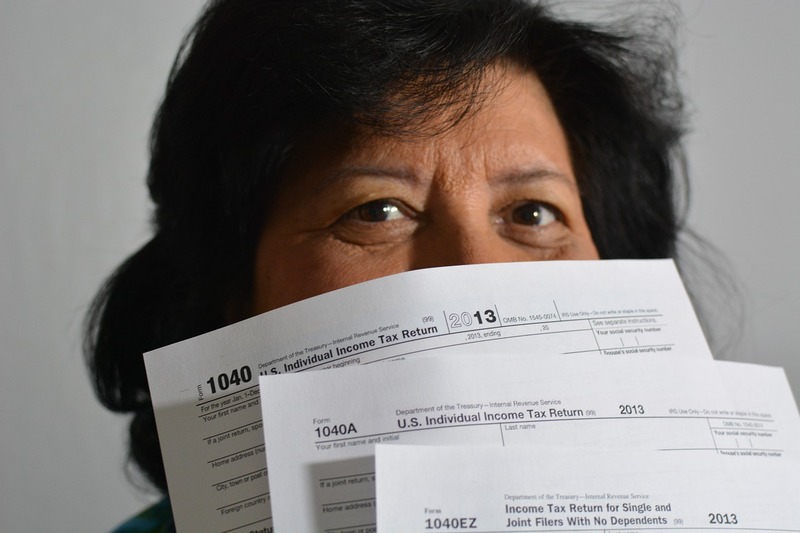 The Sixteenth Amendment changed that to having individual citizens paying federal income tax. In 1913, Tax Day (the deadline by which individuals needed to pay their federal income tax) was March 1. The Revenue Act of 1918 moved Tax Day to March 15. It imposed a 77 percent tax on the highest income to raise money for the U.S. Involvement in World War I. In 1954, President Eisenhower moved Tax Day to April 15. This was done because the middle class had grown, and the IRS had to issue more tax refunds as a result. Moving Tax Day let the U.S. Government hang onto that money for a little longer. In 2017, Tax Day was moved (temporarily) to April 18. This is because April 15 fell on a Saturday. The District of Columbia celebrates Emancipation Day on April 16 – but that was a Sunday in 2017 – so the celebration was moved to April 17. This pushed Tax Day of 2017 to April 18. * What Was the Money Valued for Your Ancestors?